No big deal… just a Pope resigning, which hasn’t been done in 600 years. I know I’m not the only dude that thought of Dan Brown’s Angels & Demons. Hoping the former Pope doesn’t have Illuminati brandings on his chest. Kidding aside, I had no clue that a Pope could resign. So, Tebow. You think the fact that’s he’s not Catholic is gonna stop the internet? No chance. You can follow the @PopeTebow twitter account up above. 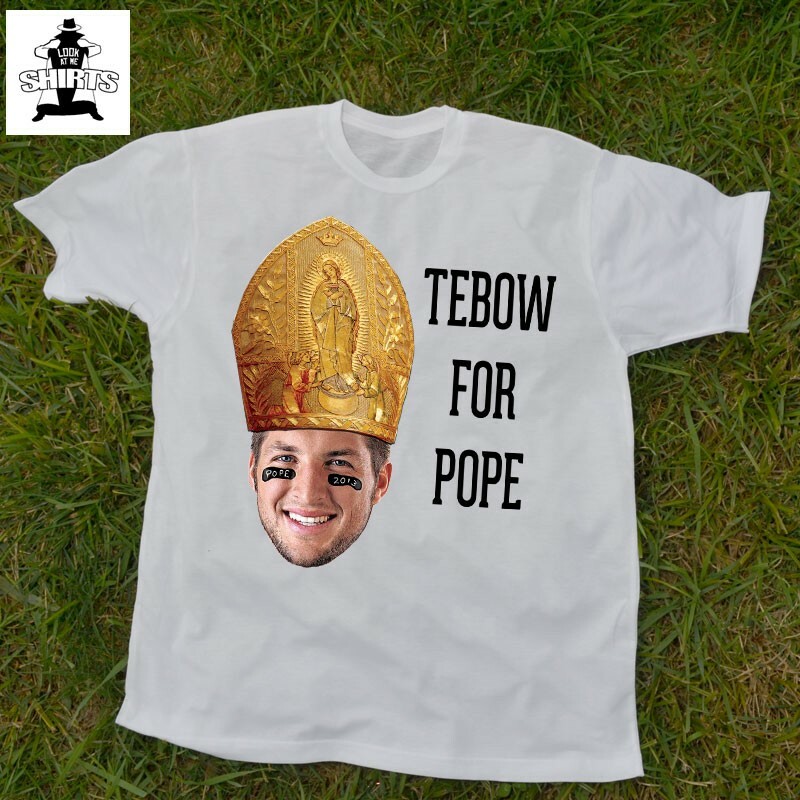 You can even buy Tebow For Pope t-shirts. Can’t stop, won’t stop the internet of 2013, people. Embrace it. Oh, and prayers to the former Pope and whoever takes his place. You’ve got a lot of people counting on you… no pressure. 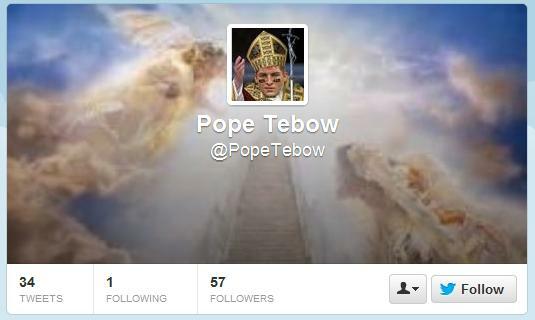 This entry was posted in Football, News and tagged pope resigns, pope tebow, pope tim tebow, tebow for pope, Tim Tebow. Bookmark the permalink.